Hello there! 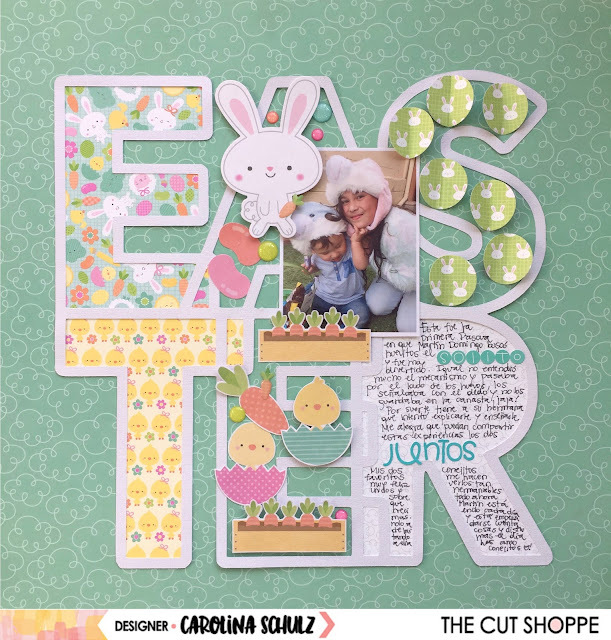 Today I want to share here my very first post as part of the DT of The Cut Shoppe :) I made a fun layout using gorgeous Celebrate Easter cut file. As soon as I saw this cut file I knew I wanted to use it as big focus of my project, so I decided how to fill it in a fun and creative way. 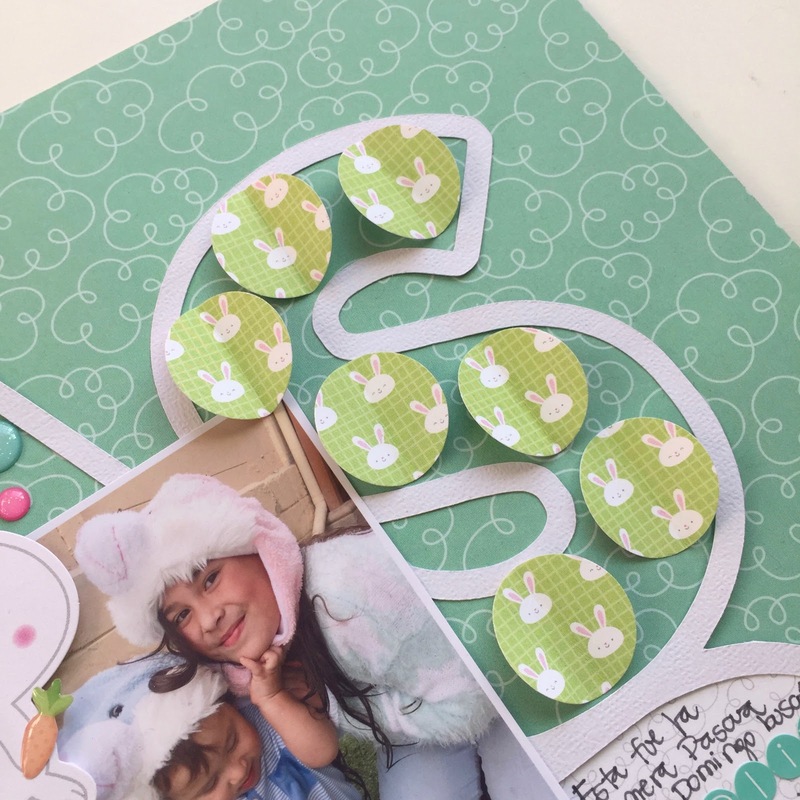 I filled letter S using several little circles, and gave them some extra volume by folding them in halves. I love how they look. For filling letter E I used plenty of diecuts, I adhered some of the using foam dots, this way my page gains volume and looks more interesting. 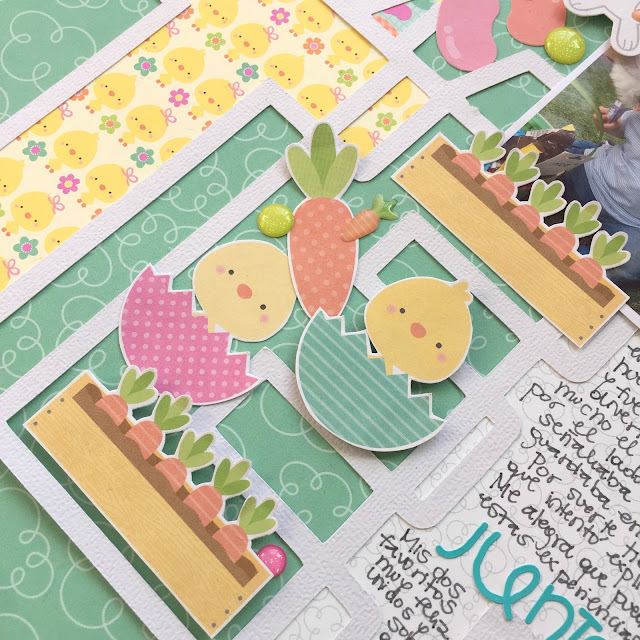 Journaling is always an important item on my layouts. 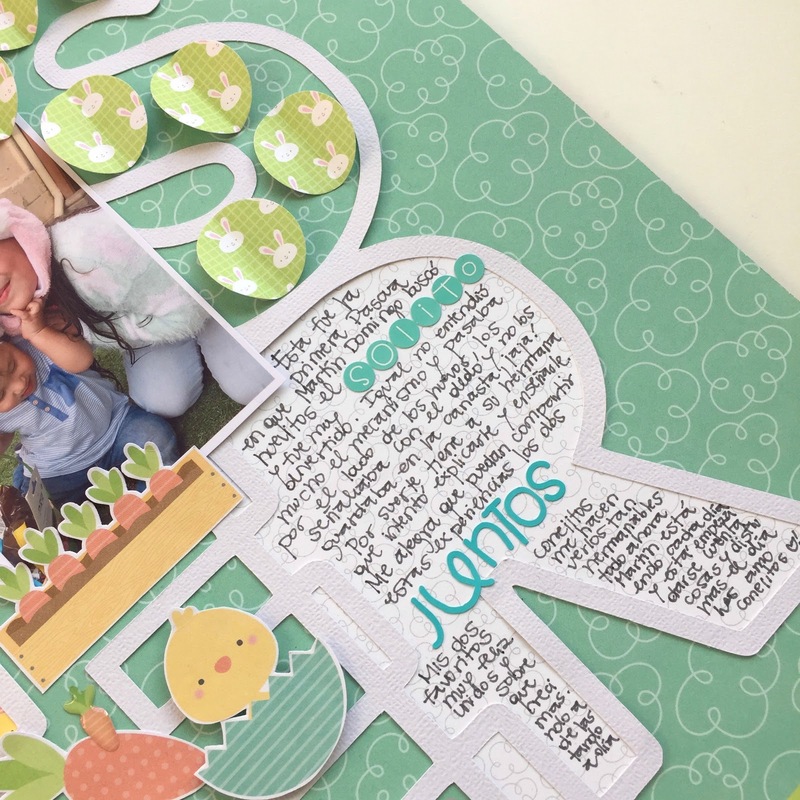 In this case, I backed letter R with some white cardstock with a slight clouds pattern, this way I can use this space to write all about the pic. I combined my own handwriting with some tiny stickers just to make my journaling a little bit more interesting and an active element in my design. 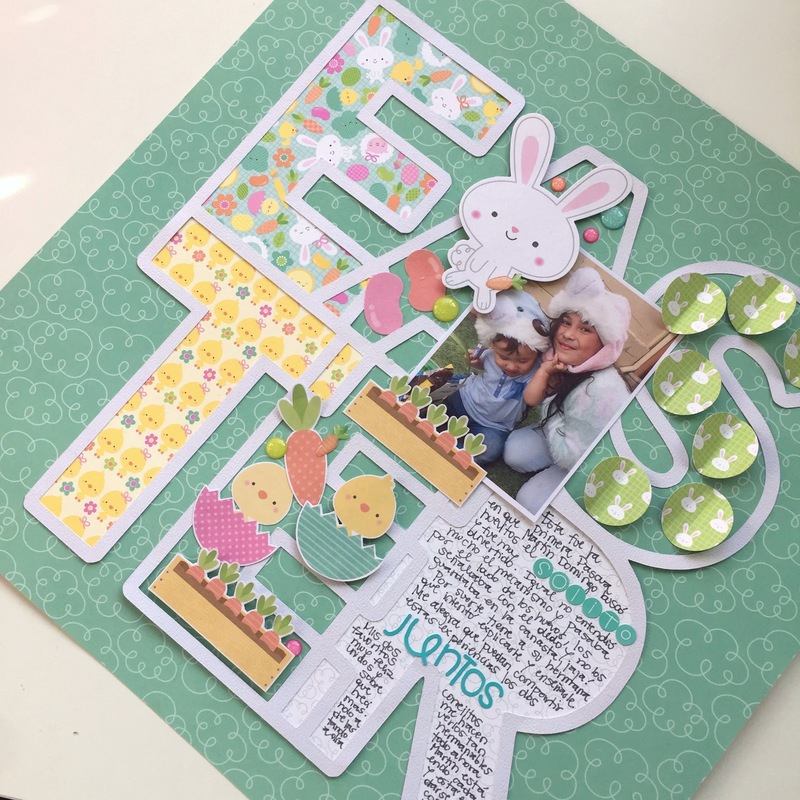 I hope you liked this idea and got some inspiration to work with this lovely cut file. If you have any question just leave me a comment. Have a lovely day!